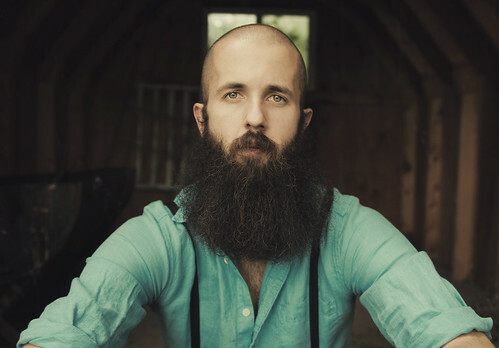 William Fitzsimmons is not just a bunch of beards. Well, he's more than those hairs hangin on his chin. He's amazing, magical, and stunning. I found him through 8Tracks. Well, one of the songs played in my mix at that moment. My first encounter with him his music was "After Afterall" from The Sparrow and The Crow album. Got goosebump right from the beginning of the song, the piano was... Aargh. And the next thing I know was my tears started to flow. The lyric is pretty simple and the whole song, he just repeated the same phrase until the end. The song itself also considered as short compared to other songs. But, well, I think it's how the melody and his soft voice collide. William Fitzsimmons is both songwriter and psychotherapist. His career background influence a lot of his music, not to forget his family history and also, love life. His musical path was derived from the influence and education of his blind parents. Music, was a necessity in communicating among William and both of his parents. He learned the piano and trombone during his childhood and also guitar (self-taught) in his adolescence year. Interesting things came when he studied and pursued career in mental health field by becoming a therapist. He also used to work with the severely mentally ill for years. What's more interesting? 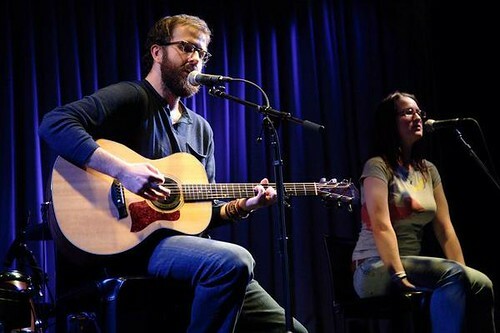 He's friend of my girl-crush; Ingrid Michaelson! Perfecto. I listened to the song few times before I realize that I have to look for the one who sing this song. Well, after that I quickly searched through Mr. Google and I was quite shocked. Judging from the voice, I never thought that the one who sing will be a beardy guy. No offense, but I always have that stereotype that beardy guys always have to have heavy, scary voice. LOL. Then, my amazing journey began. I started to look for his songs. And drown myself to his music. I gotta admit that the combination of his voice and evocative lyrics is lethal. Currently, I have two of his songs stuck in my playlist. Again and again I listen to those. And here's piece of the lyrics.